Are you tongue-tied? 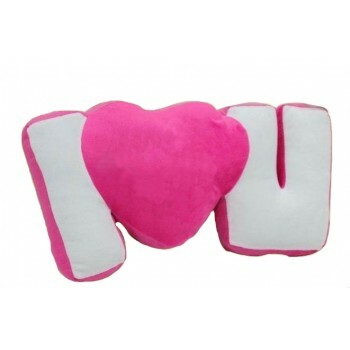 Say "I Love You" with a cushion! Your loved one will think of you every time he/she hugs the cushion! This will be the only equivalent of hugging a loved one in person. This romantic I Love U Cushion tells that someone special exactly how you feel without you worrying about stumbling over your words and ruining the special moment! Now you can be sure you'll get the message across clearly. 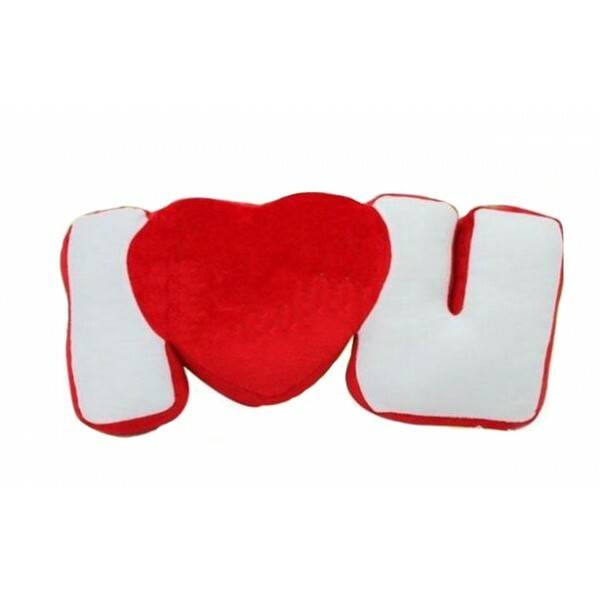 This fabulously soft cushion is in the 'I Love You' shape and makes an ideal Valentine’s Day, Mother’s Day or Anniversary gift. This adorable cushion can be hugged, snoozed on, sat on and loved. You can twin it with the Everlasting Huggable Rose, for a truly romantic Valentines gift. There is nothing like a little old fashioned romance. If your partner is addicted to cuddly teddies, but has an unhealthily large collection as it is, try and get her to branch out with this I Love U Cushion.